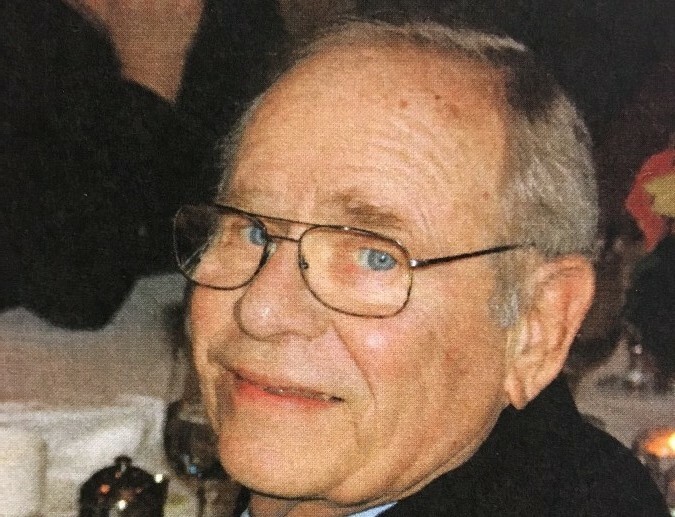 Obituary for Donald F. McNally | John Syka Funeral Home, Inc.
Donald F. McNally, 84 of Baden, passed away Monday, November 5, 2018 in Good Samaritan Hospice of Beaver. He was born September 2, 1934, in Ambridge. A son of the late Frank and Josephine Kuszczyk Kwolek. He was a graduate of Monaca High School, where he received a football scholarship to Penn State University where he was a running back and obtained his Bachelors Degree. Surviving are his wife, Janet McNallly of Baden, step daughter Cynthia (Russ) Lighton of Malvern, PA, step son Steven (Leah) Fitzgerald of Industry, step grandchildren Hailey, Corinne, Lindsay Lighton, Kassie & Sam Fitzgerald, a great step granddaughter Khole, 2 brothers Larry (Helen) Kwolek of Fort Wayne, IN, Tim (Jeaninne) Kwolek of Denver, CO, a sister Debbie Laughlin of Ambridge, a brother in law Carl E. Nelson of Allison Park, special niece Alice Evans of Butler, and numerous nieces & nephews. Preceding him in death were his first wife, Patricia Dockton McNally, step father, Williard McNally, and a sister Brenda McNally. Friends will be received on Friday from 2-4 & 6-8 P.M. in the John Syka Funeral Home, Inc., 833 Kennedy Drive, Ambridge, where a funeral service will be held on Saturday at 10:00 A.M. with Rev. Jill McGregor officiating. Interment will follow in Sylvania Hills Memorial Park. In lieu of flowers the family asks donations be made to the Beaver County Humane Society, 3394 Brodhead Road, Aliquippa, PA 15001.